Fort Crawford's fascinating story unfolds in a regional context spanning dramatic events that took place in what are now Wisconsin, Minnesota, Iowa and Illinois. 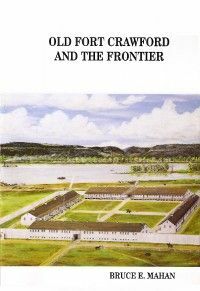 The term Old Fort Crawford refers to the institution that occupied two sites in Prairie du Chien from 1816-1856. The heart of Mahan's history focuses on that strategically important yet isolated frontier post.